The LaFayette Underground is provided as a community service, for the betterment of LaFayette and Walker County. Unfortunately this thing, like most things, takes money to operate. 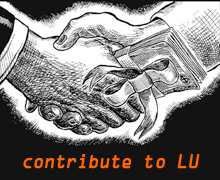 If you appreciate information shared through the Underground (both on this site and its social media accompaniments), please consider making a “campaign contribution” to LU through PayPal. These donations, gifts, contributions, or legal bribes* will go to pay Web hosting costs, open records requests, special (read:not free) functions for the Web site or Facebook page, and maybe an occasional dinner. Sponsorships/advertising opportunities are also available, e-mail LU for details. Please patronize current sponsors to show appreciation for their backing of this site and what it represents. Also support LU by shopping at Amazon.com through this link. To show appreciation in other (non-financial) ways: continue spreading the word, share tips, pics, and leads, and consider giving up some time to volunteer with deserving local charities like The Care Mission or Mountain Top Boys Home. *The Underground is not registered as a PAC or political campaign. Donations do not go to individual candidates, parties, or other restricted groups. This site is about free speech and communication, not advocating for a specific cause or candidate beyond common sense, transparency, and ethics. Financial contributions are not tax-deductable. 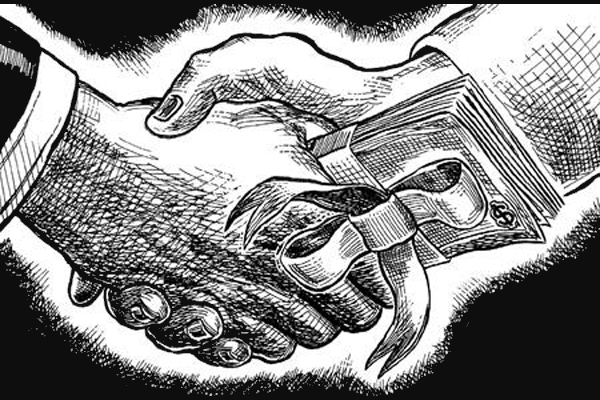 Unlike real “campaign contributions,” gifts to LU do not influence legislation, editorial content, or expressed opinions. To paraphrase one local state representative, we can’t be bought – but please feel welcome to try. Comcast bill goes up. Time to get another cable supplier. Whats with the Tech Fee and Broadcast TV Fee now on the bills.